Mei-Chuan “Holden” Ko, PhD, develops nonhuman primate models to study pain and itch sensations and to evaluate therapeutics, particularly analgesics and antipruritics. He collaborates with industry to determine the efficacy of various therapeutics and characterize side effect profiles before drugs enter clinical trials. 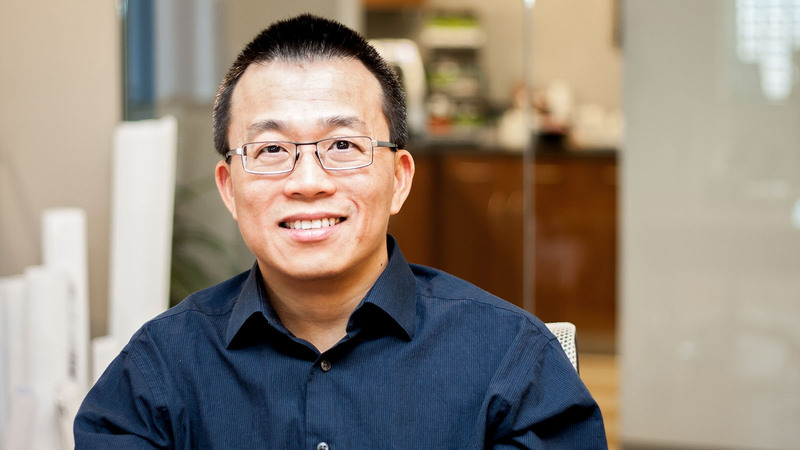 Mei-Chuan “Holden” Ko, PhD, earned a master’s degree and a doctoral degree in biopsychology from the University of Michigan, where he also completed a postdoctoral research fellowship in anesthesiology and pharmacology. He worked as research faculty in the department of pharmacology at the University of Michigan until he moved his research group to Wake Forest School of Medicine in 2013. His research interests span a wide range, from behavioral effects of opioids to physiological functions of different neurotransmitters in the central nervous system. Ko develops nonhuman primate models to study the functions of different ligand-receptor systems in the central nervous system. Developing nonhuman primate models—such as capsaicin- and carrageenan-induced allodynia and hyperalgesia—allows Ko to investigate and distinguish the analgesic efficacy of various therapeutics before they enter clinical trials. He uses these models not only to determine drug efficacy, but also to characterize side effect profiles, including gastrointestinal transition, abuse liability, cardiovascular activities and respiratory depression. In his research, he works as a principle investigator with the National Institutes of Health and the Department of Defense, as well as industry partners such as AstraZeneca, Pfizer Pharmaceuticals and Novartis Pharmaceuticals. Ko also researches nociceptin/orphanin FQ peptide (NOP) and kappa opioid peptide (KOP) receptor agonists in nonhuman primate models to determine the therapeutic potential of NOP-related ligands as analgesics and to validate the clinical application of KOP agonists as general antipruritics. Collaborating with Preclinical Translational Services at Wake Forest, his team established an intrathecal catheterization to deliver drugs intrathecally or intracisternally in awake, behaving monkeys. With this surgical improvement, his team can not only define the role of different neuropeptides in regulating pain and itch centrally, but also study how different neuropeptides in the central nervous system affect diverse behavioral responses and physiological functions. Recognizing the translational bridge from nonhuman primate models to human medicine, Ko moved his research group to Wake Forest to collaborate with the world-renowned faculty in the departments of physiology & pharmacology and anesthesiology and the School of Medicine’s internationally recognized Center for Comparative Medicine Research. His research in animal models provides a pharmacological foundation for better and safer therapeutics that can improve patient care and outcomes.